The world is full of extraordinary fishes. Most countries have their own, unique fish species that the local anglers target. In South Africa, yellowfish of the family Cyprinidae are now most sought after angling fishes, but they are not well known to Australian or American anglers, for instance. They could be compared to sheefish in Alaska or even brown trout in Iceland. 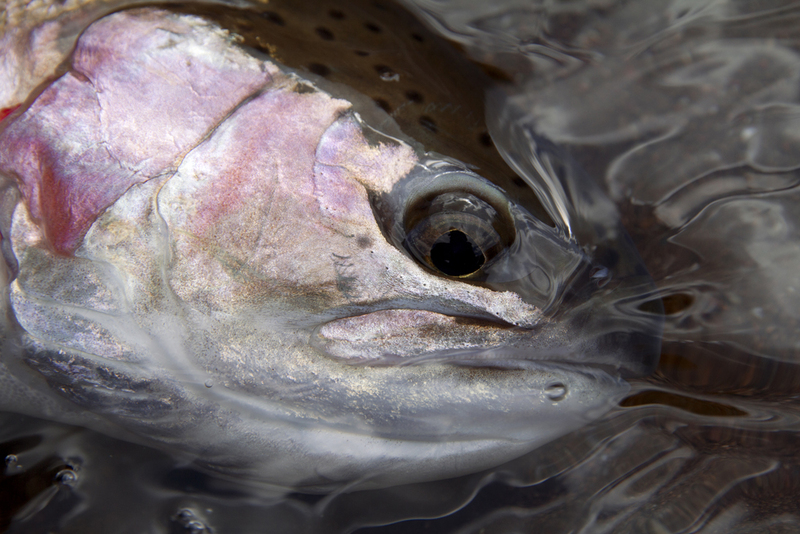 People travel to Alaska and Iceland to catch salmon, not sheefish or browns. But yellowfish fight incredibly hard and fish of comparable size will run much further than aforementioned salmonids. They could be described as freshwater bonefish. An enigmatic fish that readily accepts a fly in fin-exposing shallow water and when hooked they have a tendency to run the backing far off a reel and do so at a speed that may cause line drag to snap the tippet. The battle is then also usually a lengthy one, so they are not just stronger but also have more endurance than trout. 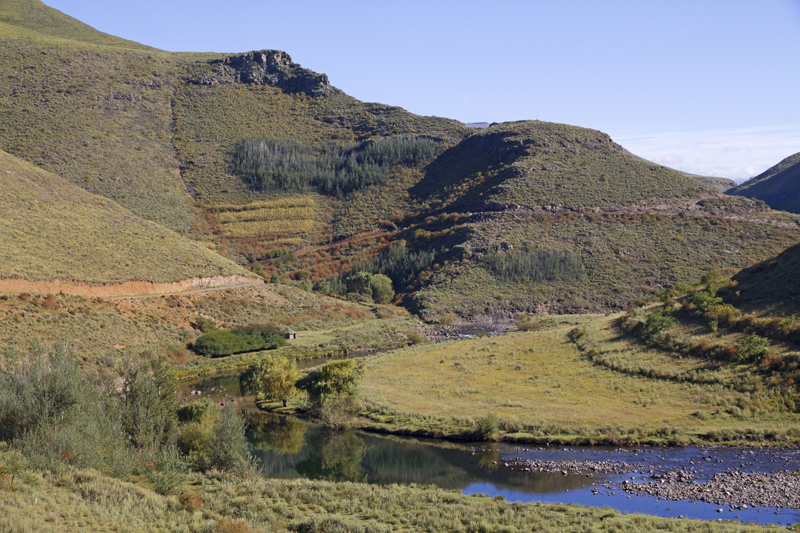 The mountainous terrain of the Lesotho highlands creates large catchment areas that support perennial rivers. The fairly uniform flat riverbeds make for ideal cattle crossings. 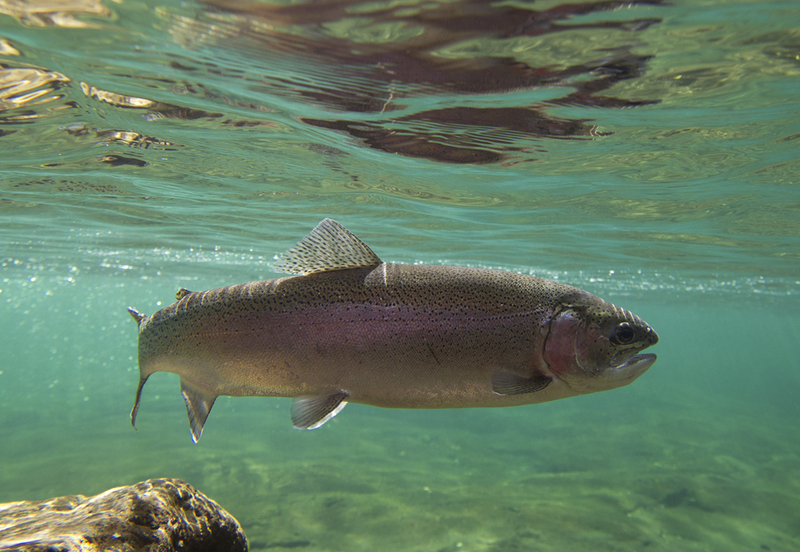 However, the reputation of these fishes used to be (and still is to some degree) overshadowed by other, oft introduced sport fishes, such as rainbow and brown trout that were stocked to supplement native species to make local river systems more appealing to fisherman. Similar to Patagonia or even New Zealand, this is the case in the Lesotho highlands of southern Africa. 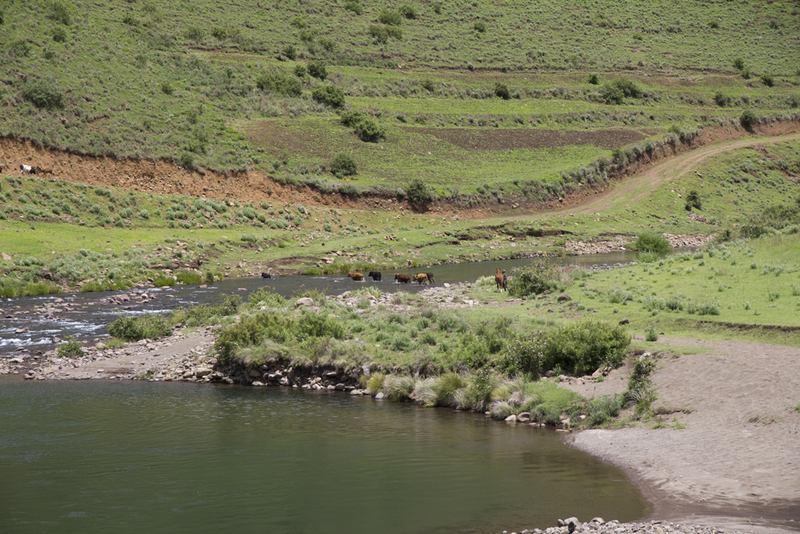 The alpine-like catchment areas in Lesotho keeps the rivers clear and cool year-round, ideal habitat for trout to survive in with the native smallmouth yellowfish. The rainbow and brown trout that were stocked there about one hundred years ago colonised most headwaters in this yellowfish mountain kingdom. Although the countryside is dominated by precipitous cliffs and jagged peaks, Lesotho’s layer-cake geology creates a degree of uniformity in river substrate and structure, which is one of the reasons why trout and yellowfish have successfully dispersed so widely throughout this mountainous country. 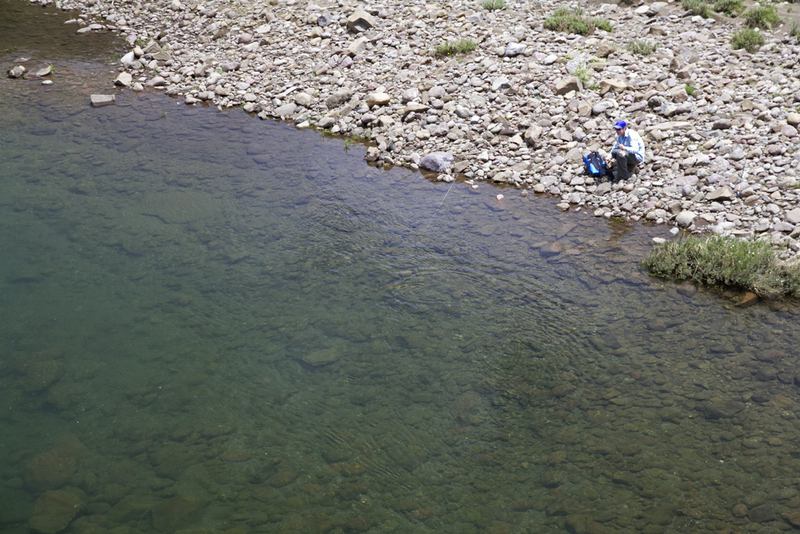 Ironically, the porous, brown basaltic substrate of the rivers makes the water nutrient poor and there aren’t many aquatic insects for fish to feed on. This is where the local Basotho communities bring their part to establish some of the world’s best fisheries. 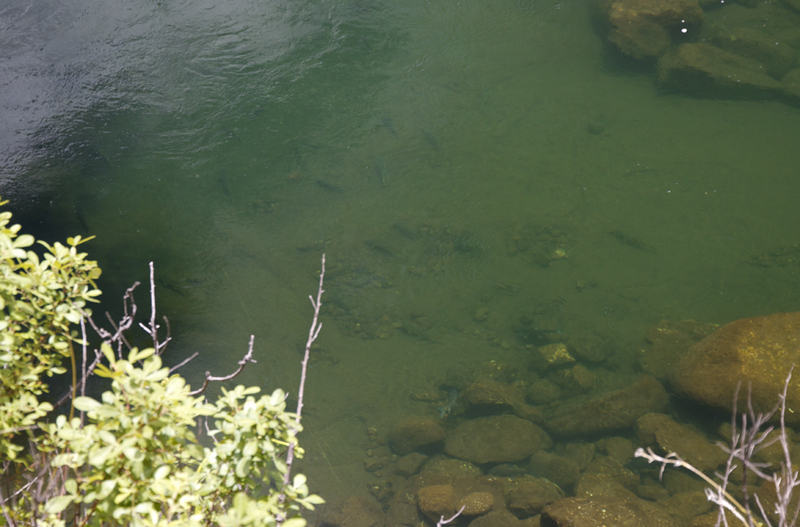 A school of big smallmouth yellowfish feeding along the bottom of the Bokong River. Keeping a low profile while stalking yellowfish is important as they are very alert, have good sight and even sense the vibrations of loose rocks under your feet. If everything goes right and you go unnoticed hooking up is almost guaranteed. The bigger yellows fight very hard and you will definitely see your backing a few times in a day. The villages that sprout in the evergreen river valleys, the rivers being the source of fresh water, also pollute the passing water to some degree. Rivers in other words become washing powder and human waste highways. Water nutrient levels understandably rise, promoting algal growth, which in turn boosts the otherwise near non-existent invertebrate population. This provides a constant stream of food for the fish; a delicate balance between pristine and ‘polluted’, but fortunately favourable to fish and anglers. 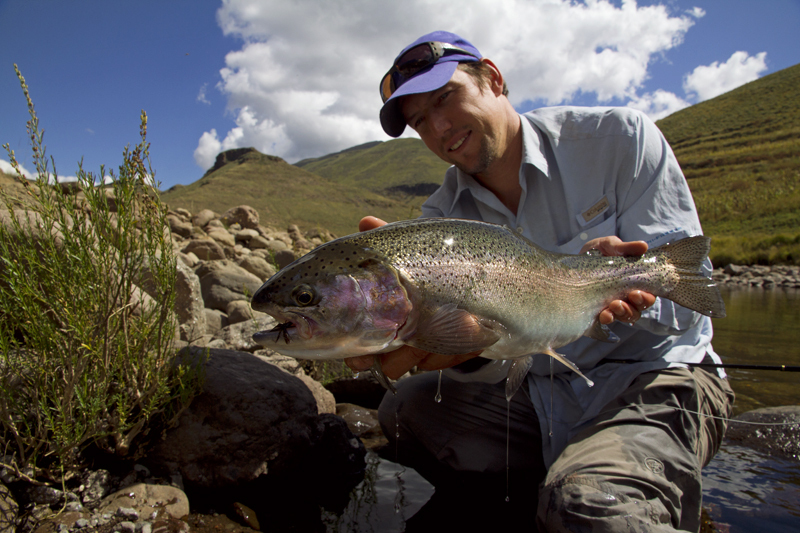 Rainbow trout do well in the Katse Dam and large fish run up its tributaries, like the Bokong River, to spawn in autumn. The trout and yellowfish populations are so dense in areas that some of the rivers have become a major attraction to South African fly fisherman. The Makhangoa Community Camp situated on the Bokong River is a prime example and one of the best places to visit for an African trout and yellowfish experience. In summer, when the yellowfish run up the river to spawn, the pools are overcrowded with these golden-brown fish. They will accept most flies, even streamers at times, but the most fun is had with dry flies fished on a dead drift. Some may tip the scale over 7 lb and these will test your tying skills the most and also demand a subtle approach and accurate presentations. 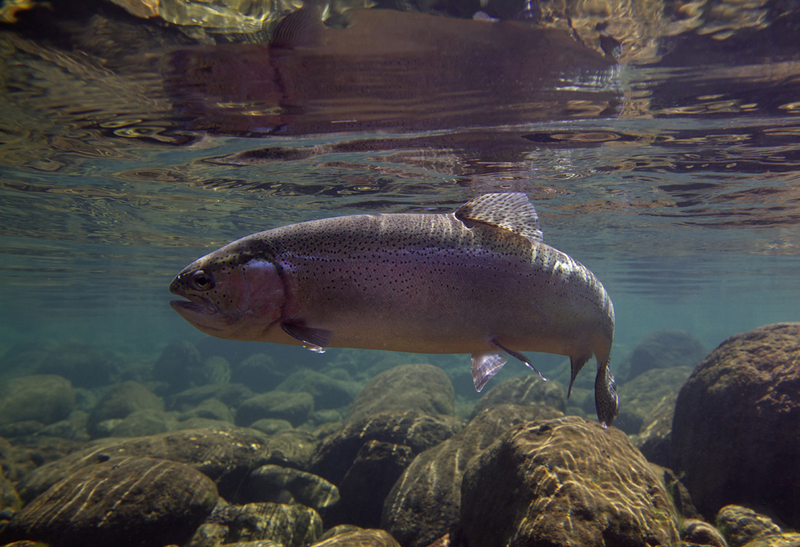 …or they could be caught on carefully presented dry flies such as this fish that rose to a Klinkhammer on a dead drift. In contrast, the river is dominated by spawning trout in autumn. By then the large numbers of yellowfish fry, the abundant crabs, and thousands of grasshoppers that feed on bank side vegetation support large trout that run for kilometres up the river. 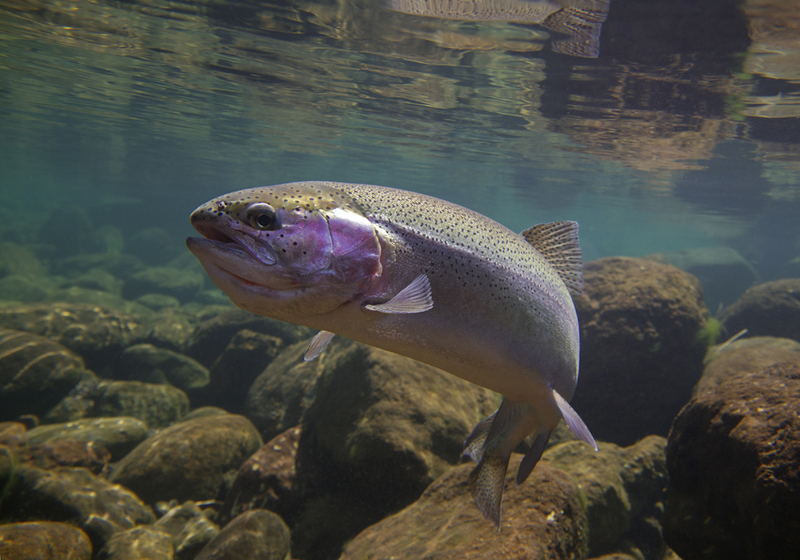 The plump, spawning trout may stay in the river for about two months before returning to the dam. The river runs into the Katse Dam not far from camp and this large stillwater produces the heaviest midge hatches that I’ve come across. The trout and yellowfish that live in the dam obviously also gorge themselves on midge larvae and grow to immense proportions due to the variety and abundance of food and the vast body of water. 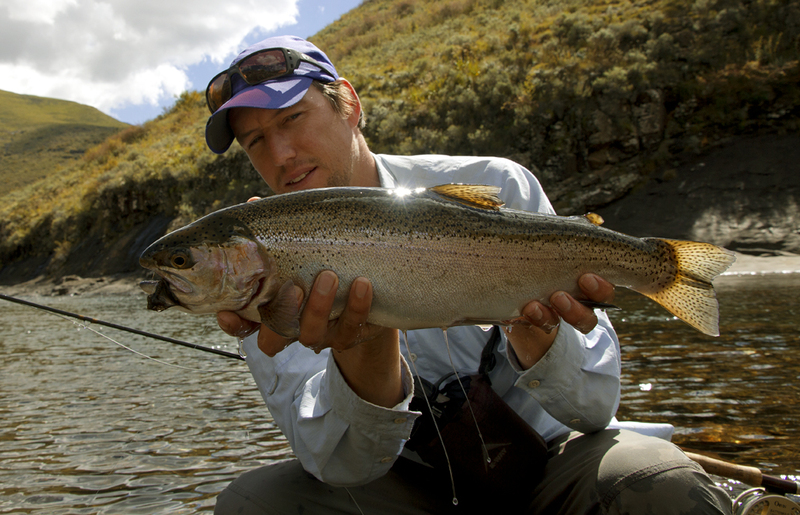 Both the river and dam fisheries are worth spending time on and the area is certainly comparable to some of the world’s finest trout and barb (‘yellowfish’) fisheries situated in rugged, high altitude terrain. 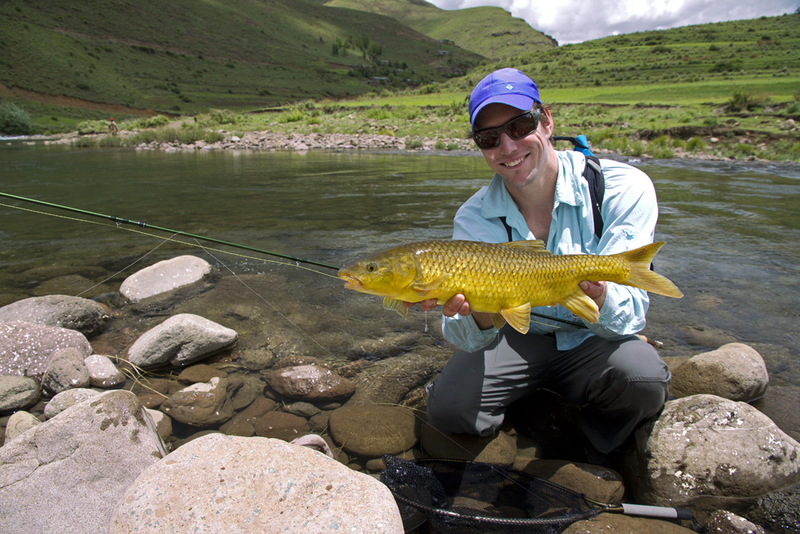 So whether you’re a keen trout angler or simply a fly fisherman that enjoys sight fishing for multiple fish species, then Lesotho’s worth a visit and especially to try and catch the local smallmouth yellowfish.